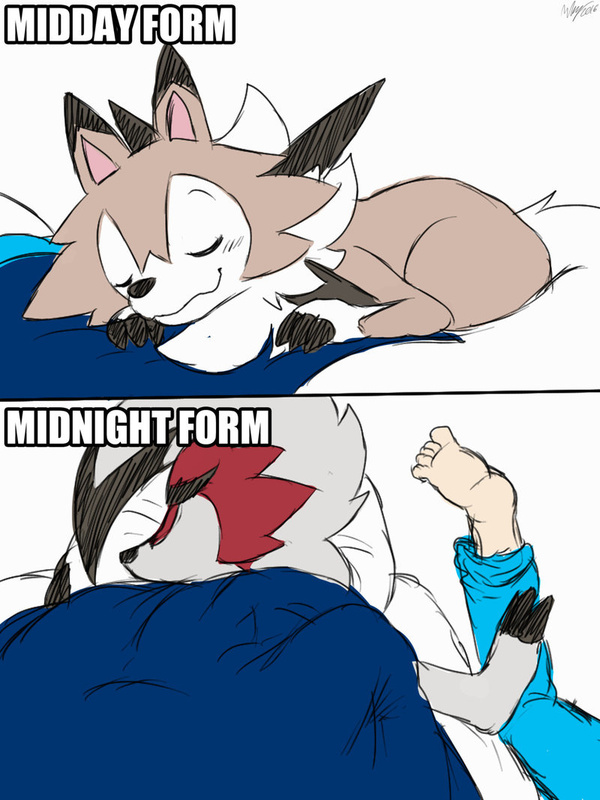 But the midnight form would sleep during the day, wouldn't it? Whoo, Lycanroc (Midnight Form) is in the bed without sharing with the Male a Trainer because Lycanroc doesn't like to be out of the blanket from the bed and it didn't feeling good of being without using the blanket. And also refuses the Male Trainer to be single only.